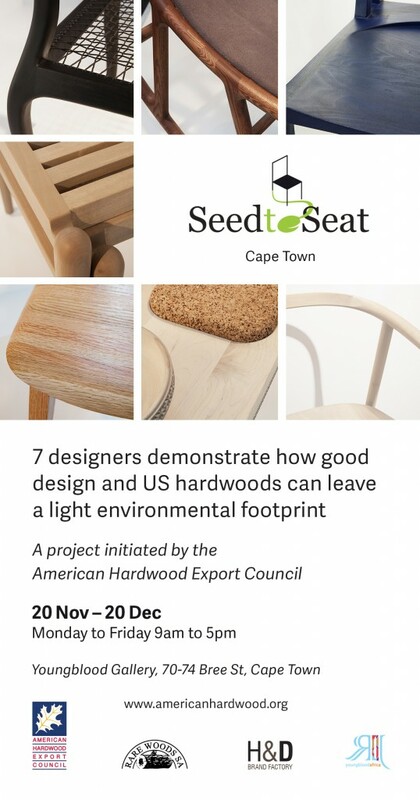 November 16, 2017 – The American Hardwood Export Council’s ‘Seed to Seat’ furniture collaborative is set to go on display at Young Blood Gallery in Cape Town from November 20 – December 20, 2017. 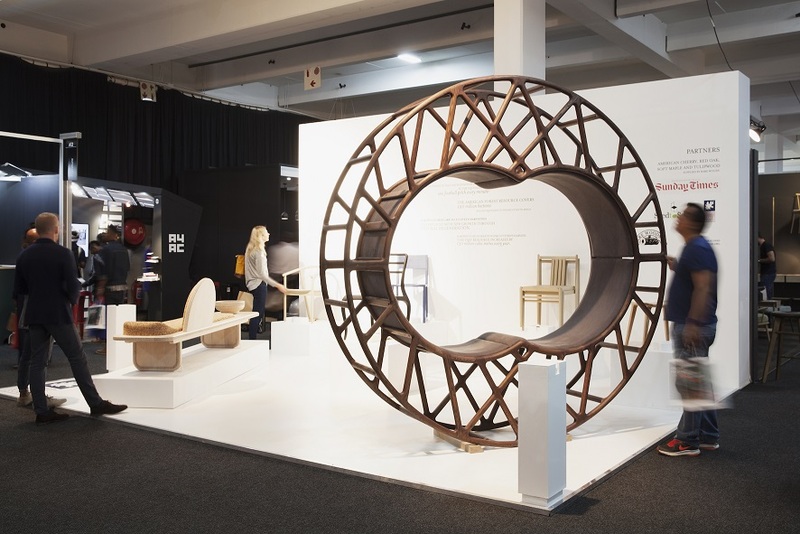 The project was initially unveiled at ‘100% Design South Africa’, Africa’s premier exhibition and sourcing platform for high-end contemporary design in Johannesburg earlier this year. 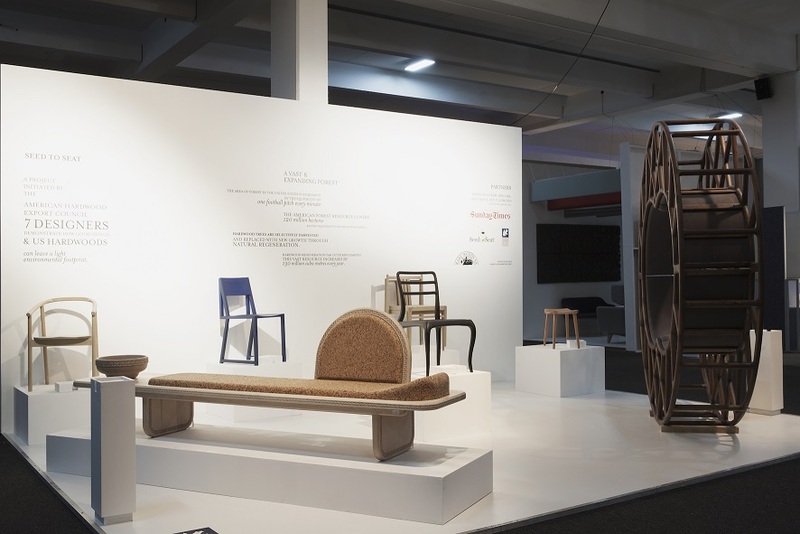 Given that five of the designers involved with the initiative are based in Cape Town, AHEC felt it necessary to showcase all seven pieces, including the two by Johannesburg-based designers, to a wider audience across the Western Cape. “This ambitious project involving sustainable American hardwoods and environmental profiling is the first of its kind and the response to it from the design community has been overwhelmingly positive. 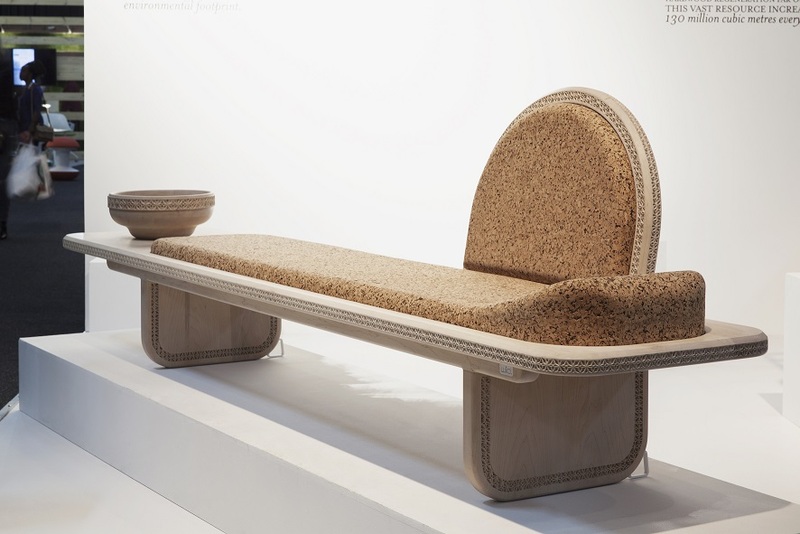 It has provided a valuable opportunity for designers to test new designs in U.S. hardwood species that they were not familiar with and some of the designs are earmarked for commercial production. The project has also enabled AHEC to highlight the low environmental impact of the finished pieces through Life Cycle Assessment (LCA) and the importance of material selection,” said Roderick Wiles, AHEC Director for Africa, Middle East, South Asia and Oceania. Seed to Seat will remain on display for an entire month and will also be a part of the final ‘First Thursdays’ event for the year. This is a free cultural experience where art galleries and other cultural attractions in the central and East city districts stay open late on the first Thursday of every month. What started in late 2012 with just 6 art galleries has now grown into one of the city’s foremost cultural experiences, attracting thousands of people every month. AHEC aims to highlight the sustainable credentials of the American hardwood resource through a creative display that also conveys the story behind each piece. “This has been a complex, fascinating and enjoyable project for both us and the designers involved. We also must thank the designers who took on the painstaking task of recording all the energy inputs and wastage whilst not compromising on the integrity of their designs. There is an understandable concern about the environmental impact of imported materials. What this study has shown us is that if designers are committed to working sustainably, they should continue to embrace American hardwoods,” concluded Wiles. For more information, please see: www.seedtoseat.info.